Bands are taking the stage, amps are plugged in and you’re ready to fill your ears with sweet tunes at Treefort. It’s a week stuffed with fun, sun, creativity and that feel good feeling, but what do you do when your sweet tooth starts singing out for attention? 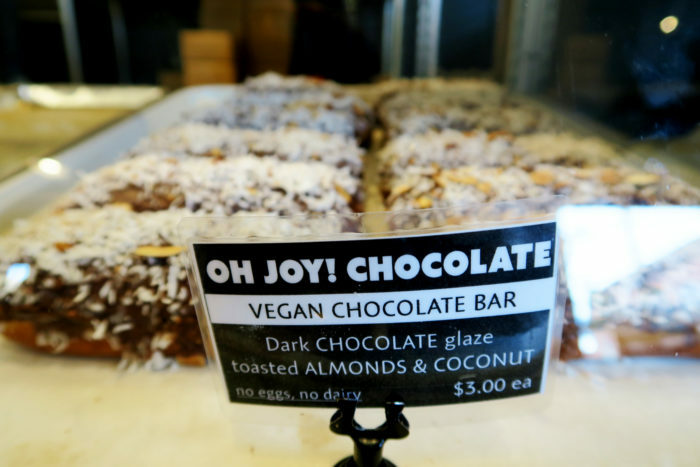 Luckily, Boise’s a sugary oasis where some of the coolest people are whipping up the stuff that sugar plum dreams are made of. Here are the best sweet escapes you have to taste. Few eateries better embody the “farm to table” movement than this locally-owned hotspot. At Fork, ingredients are selected with purpose and blend together to create a taste that is wholeheartedly Northwestern. To prove it, swing in for a piece of the taste-bud-rocking, melt-in-your-mouth goodness they call Butter Cake. This warm yellow cake is topped with local Cloverleaf Dairy vanilla ice cream and an Oregon berry drizzle. It’s big enough to share, but you’ll most likely want one all to yourself. This isn’t your grandparent’s donut shop. At Guru, located inside Boise’s historic Idanha Building, baking and creativity collide. They feature rotating flavors like The Sea Salted Chocolate Bar, Tony The Tiger, Peanut Buddha Mocha and Wildberry Lavender, to ensure each visit is a unique and yummy experience. Snag one (or a few…no judgments here) for breakfast paired with a freshly brewed coffee, or make it an afternoon energy booster. Hint: 3-4pm daily is Happy Hour and all donuts are buy one get one! That’s twice the sweet for half the cash. With years of fine dining culinary expertise, Boise’s own Chef Lou turned the drive-in experience on its head when he took over the Westside Drive In. His retro restaurant serves everything from unbelievable burgers to legendary prime rib dinners and is so cool it was featured on the Food Network’s hit show, “Diners, Drive-Ins and Dives” with celebrity chef Guy Fieri. So grab a seat on the patio and enjoy the North End vibe, but save room for his signature dessert. 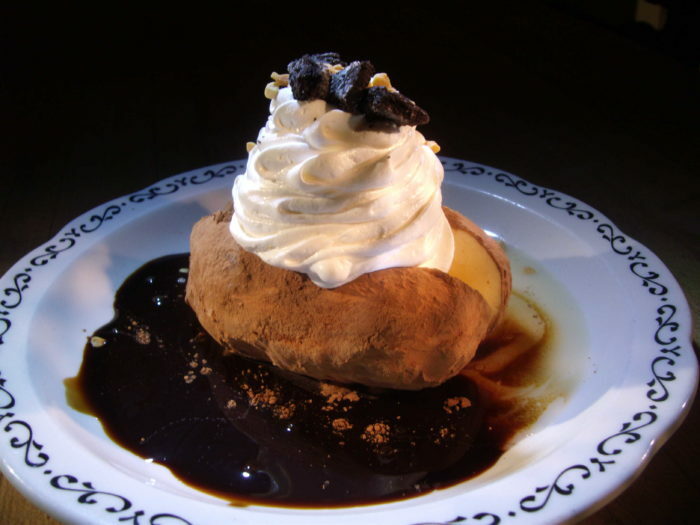 Honestly, would a trip to Boise really be complete without a potato made of ice cream? That was rhetorical, but the answer was a resounding NO! Whether you’re just finishing a refreshing hike along the foothills or taking a quick break from the downtown scene, you’ll find some of the best eateries and shops along 13th Street in Hyde Park. One spot that’s not to be missed is Goody’s. Locally owned and operated, this classic 20’s style soda fountain offers everything a sweet tooth could desire. The ice cream is impeccable and the candy is irresistible, but don’t take a single step out the door without grabbing a bag of their homemade, small batch caramel corn. It’s savory, sweet, sticky and you’ll thank yourself later. Downtown Boise is filled with wonderful places to grab something and satisfy your palate. 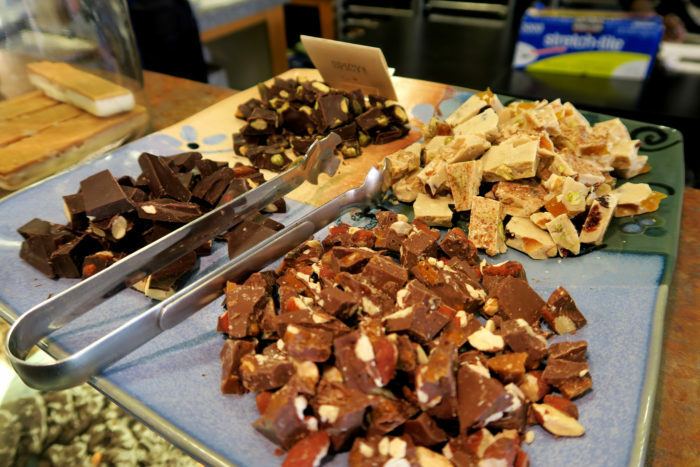 However, if you’re looking for a sweet treat that is delicately hand-crafted and packs a flavor-filled punch, pop into The Chocolate Bar on Bannock Street. In 2004, husband and wife team Chris and Kristi Preston went from Banker and Biologist (respectively) to chocolate masters. Whipping up exciting and exotic flavors, their tiny chocolate delights have become a can’t miss as you explore the city. And if you’re feeling bold, share one of their signature chocolate shoes. That’s right, a shoe made out of chocolate that’s hand painted for a flair and ready to eat.